Two World indoor records have been broken this winter and both record setters will be capping their respective seasons at the aptly named Meeting of World Record Holders in the Czech capital on Thursday (26). Yelena Isinbayeva's most recent record in the Pole Vault, her 5.00m leap in Donetsk, Ukraine, and Meseret Defar’s triumphant run in the 5000m in Stockholm, came just three days apart. In Prague’s O2 Arena, the pair is likely to take centre stage nearly simultaneously in their attempts to outdo their own global standards. 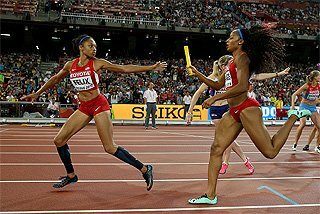 Both women, the World Athletes of the Year the past two years, will be making their third appearances of the indoor season, and both have displayed phenomenal form. Isinbayeva opened her season with a pair of World records at her season opener and will certainly be looking to add to her collection of 26 World records at the inaugural Prague meeting. At a pre-meet press conference here today (25), Isinbayeva didn’t make any predictions, but only said that among her goals for 2009 is more world marks. “Our plan is to break maybe three or four more World records this year,” the Russian said. She also confirmed that she suffered some minor aches and pains when she twisted her take-off leg during her warm-ups in Birmingham last Saturday when in a rare occurrence, she didn’t break the plane on a jump and landed awkwardly. Behind her, the field is solid, with Brazil’s Fabiana Murer, Isinbayeva’s sometime training partner, leading the charge. 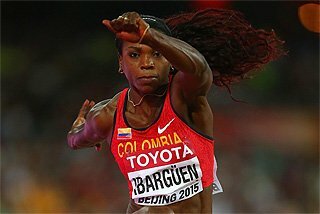 The 27-year-old, who jumped to bronze at last year’s World Indoor championships, raised her own South American record to 4.81m in Donetsk. Former U.S. record holder Stacy Dragila and Russian Tatyana Polnova bring season’s bests of 4.61m and 4.52 to Prague. 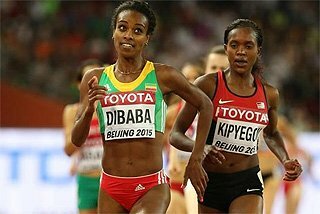 With a sensational 14:24.37 at Stockholm’s Globe Arena, Defar added the indoor 5000m standard to her growing collection, which also includes the World indoor record in the 3000m and World best in the Two Miles. Here, she’ll be targeting the latter, her mark of 9:10.50 set in Boston just over a year ago. 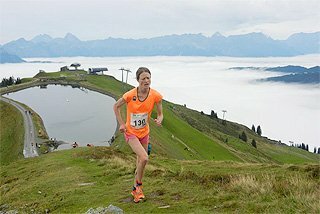 Defar’s already clocked 8:26.99 for 3000m this winter, indicating that another revision of the two mile standard is well within her capabilities this winter. Along for the ride are Tanzanian Zakia Mrisho and Lidia Chojecka of Poland, who two years ago became the first women to race to both 1500 and 3000m titles at a European Indoor championship. Olympic 800m champion Wilfred Bungei leads the field in the men’s 800m, where he’ll face Olympic silver medallist Ismail Ahmed Ismail of Sudan. 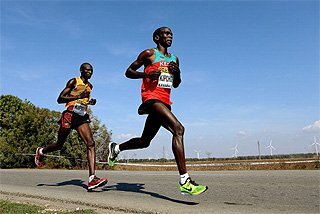 Both have won two of their four races, but Ismail, the world leader, holds a narrow 2-1 head-to-head advantage over the Bungei. Most recently, Bungei was the winner in Birmingham and Ismail the runner-up in Stockholm where Bungei was a distant fifth. The field also includes Kenyan Olympian Boaz Lalang and Spaniard Antonio Manuel Reina, the latter looking to bounce back from disappointment at the Spanish championships where he didn’t advance to the final. Initially billed as an assault on Wilson Kipketer’s nine-year-old 2:14.96 World record by World Indoor 800m champion Abubaker Kaki, the men’s 1000m could very well be a solid race, first and foremost. The 19-year-old has notched victories in each of his two outings over the distance this season, with his 2:16.23 from Stuttgart pacing the world. His primary challenge will come from Augustine Choge who brings some strong momentum to Prague after he out-kicked and beat Bernard Lagat in the Birmingham 1500m on Saturday. Ugandan record holder Abraham Chepkirwok could also be a factor. In the men’s 5000m, Paul Kipsiele Koech is hoping to make his indoor debut over the distance an auspicious one. A 13:11.26 performer over the distance outdoors, the Steeplechase standout is aiming to become only the fourth man to dip under the 13-minute barrier indoors. “This race will be very important for me,” said Kipsiele Koech, who has won both of his 3000m races this season. 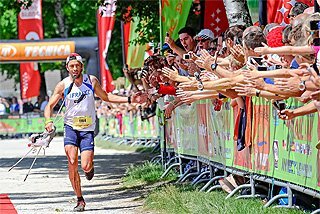 “If I can run under 13 minutes, I’ll be very happy.” Most recently, he clocked a world-leading 7:32.80 in Stockholm. 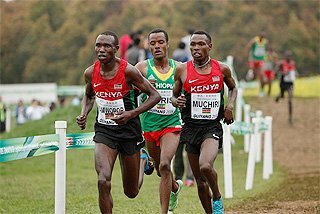 The field also includes Ethiopian teenager Abreham Cherkos, the World Indoor 3000m bronze medallist, and 1500m ace Daniel Kipchirchir Komen. 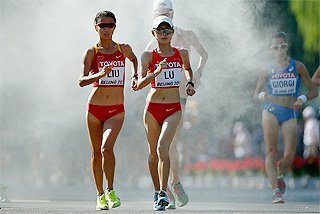 Both will also be making their indoor 5000m debuts. Headlining the women’s 60m Hurdles will be Olympic 100m Hurdles champion Dawn Harper, who will be making her only start of the indoor season. A reasonable goal for the Californian, who hasn’t raced since her victory in Shanghai last September, will be her 7.98 career best from 2006. Former World champion Derval O’Rourke of Ireland and American Danielle Carruthers, the winner in Valencia the weekend before last, should provide ample competition for Harper to shake out the rust. 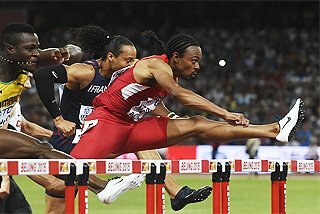 The men’s barriers race features a pair of in-form hurdlers, American Dexter Faulk and Dutchman Gergory Sedoc. Faulk, 24, has won his last three races – Karlsruhe, Stockholm and Birmingham – and brings a 7.50sec season’s best and career best to the Prague start line. Sedoc has made considerable strides on his comeback from injury this winter, setting no less than five national records, which currently stands at 7.52. With victories in her last two outings, Carmelita Jeter rides a wave of momentum to the Czech capital to lead the field in the women’s 60m. In her last outing the 2007 World 100m bronze medallist improved her career best with a world-leading 7.11sec victory in Birmingham. 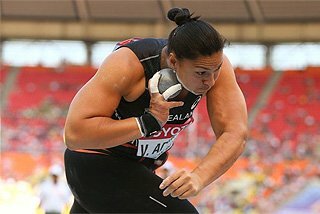 Her main competition looks to be Angela Williams, the reigning World indoor champion. 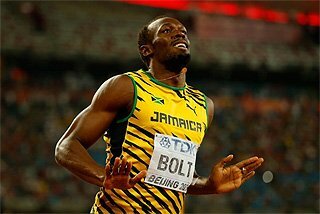 The men’s short dash includes 2003 World 100m champion and last year’s World indoor silver medallist Kim Collins of St. Kitts and Briton Craig Pickering, in presumably his final tune-up before the continental indoor championships in two weekend's time. Blanka Vlasic was to make this her final appearance prior to the European Indoor Championships where she will be chasing her first continental medal, but some minor aches and pains after her last meeting has forced a late hour withdrawal. In the Croatian’s absence, attention will turn to Spaniard Ruth Beitia who has cleared 1.98m this season, while the locals will focus on national record holder Barbora Lalakova and Iva Strakova. 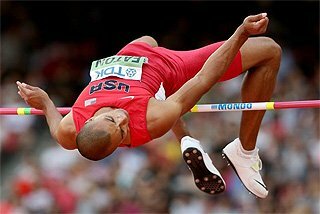 The men’s Long Jump features a pair of this season’s eight-metre men, Cuban Ibrahim Camejo (8.05m) and Czech Roman Novotny (8.04), while Britons Chris Tomlinson and Greg Rutherford will be tuning up for next weekend’s European Indoor Championships.